Those who follow the present day politics of Awami League Chief and the Prime Minister Sheikh Hasina will agree that Sheikh Hasina of 1996 when she became the Prime Minister of Bangladesh for the first time is different from Sheikh Hasina of 2019. In between she has successfully completed her five year term as the Prime Minister on three different occasions and this is her third continuous term, bringing the total to four. Once she completes this term she will have completed four terms, three terms in a row and will create a record in the history of Bangladesh for being the longest serving Prime Minister. This commentary is not about the assessment of her term as the Prime Minster but how she has matured as a politician and a Prime Minister since 1996. Her first term was the beginning of her learning curve and she was often accused of making public statements which should have been made by any second grade leader of her party. Now she knows what to say, when to say and to whom to say. On last Wednesday while speaking in the inaugural function of the National Primary Education Week-2019 in the capital in the presence of guardians and teachers, Sheikh Hasina asked ‘not to exert additional pressure on the tender-hearted children for studying instead of giving them education with joy.’ She also emphasised that children should get their education amid cheerfulness and play and without having fear.’ Nothing could have been more appropriate and important an issue in the current society where both parents and teachers collectively force their children to get a good result or get a so called ‘A plus’ or ‘Golden A’ in their exams, be it in the primary, secondary or higher secondary. When a child should be enjoying his childhood, exercising his creativity and enriching his mental faculty he is being forced to run after grades or so called ‘good results.’ Instead of motivating a child to become a good human being or a creative person, a child is subject to sometimes inhuman torture for the so called ‘good result’ in their public examinations. Nothing could be more harmful for a child and it is the best weapon to destroy the childhood of a child. In many schools, especially madrasas, young children are subject to physical torture and beating to learn their lessons. Another thing the Prime Minster rightly pointed out is the admission examinations now being conducted for a child who is just about to enter a school. How can a young child of five or six years take an exam when the child has never attended a class? In some States of India the situation is even worse. When a mother conceives the parents go to a ‘good school’ for an interview with the headmaster who often wants to know the financial status of the would-be parents. Such a culture has now entered the education arena of Bangladesh. Another issue the Prime Minster talked about was the perception that the education in the so called ‘English Medium’ schools is better than the local Bangla medium schools. For many sending their children to ‘English Medium’ schools have become a status symbol like residing in Gulshan or Baridhara. The perception is totally misconceived and what is more baffling is the fact that many parents spend a staggering amount of money for sending their children to such schools. All such schools are in the private sector without having trained teachers and have sprung up in last three decades and they keep on multiplying. It can safely be concluded that the current status of the education in the early years of a child’s life is in bad shape and if things do not change for better at the earliest the normal childhood of countless children will be lost, notwithstanding the fact that the childhood of a person’s life is the best part of his or her life. Compared to our generation, the current day children will not be able to imagine how much enjoyable our childhood was. For boys the schools had sufficient time for games in the school premises. Currently having a play ground in a school is a dream come true. Even if there are some play grounds the facility is often used for other purposes than games of the school students. Every school had a library full of story books where students could borrow books and take home for a week. Scouting for boys was quite common and girls had their own Girls’ Guide teams. Scout or Girls’ Guide jamboree was a yearly event that would usually last for a week. Scout groups would regularly go camping for few days or even go hiking. Inter school games were regular. Many schools would arrange to take their children in the rural areas to make them accustomed to rural life. Few schools had their own school band and would practise under a trained band master who would often be the drill teacher and entrance examinations for fresh entrants were unheard of. Classes would have a class captain who would assist the class teacher in making different class related announcement or even carry examination sheets. Learning was always a fun and never considered something of fear. Such a childhood is now a dream for both children and the parents. Such a system produced good writers, musicians, performers, civil servants, creative teachers and on top of everything – good human being. Sheikh Hasina loves children as did her illustrious father Bangabandhu Sheikh Mujib. She knows that the future of this country lies in converting the children into proper human resources and not let them grow like a broiler chicken with a limited life span which she often tells in public. She is also aware that the current prevalent system in the early life of a school going child is not something the child should have. She rightly says that a child should have a proper childhood and not grow up in a constant environment of fear and stress, whether at home or school. Currently a child has to take three public exams in a span of five years, from primary to secondary school. This has to go, especially an exam in class five. Finland, South Korea and Japan have the best primary education in the world and their children are never subject to any examination usually before the eighth grade. Unnecessary exams kill the creativity of a child. Killing the creativity is like killing the child mentally. When the country had half of today’s population, it created more creative people than what the system produces today. Most of the former civil bureaucrats or professionals were more skilful than what is produced now given the fact the current generation has better facilities and more options. But the irony is that what the Prime Minster thinks or announces most of the policymakers fail to understand the underlying meaning of what she says and expects. Most policymakers see today and not tomorrow or the day after and this leads to spoiling of our huge pool of young generation. If the policy makers and the Prime Minster were all thinking in the same line the country would have prospered much faster than now. 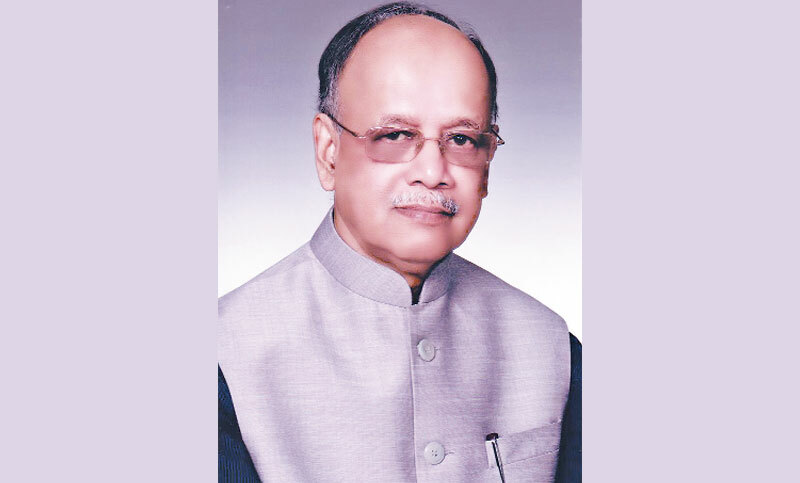 What the Prime Minster said to the teachers and guardians on the occasion of the National Primary Education Week needs to be transformed into action at the earliest for a better Bangladesh. Our young generation deserves a proper childhood than what they have now.